I love finishing a quilt but also love starting a new quilt. I don't know which I like better. I spent some time yesterday sewing with friends and one of the things I did was the cutting for a baby quilt version of Red, White and True for the quilt along. 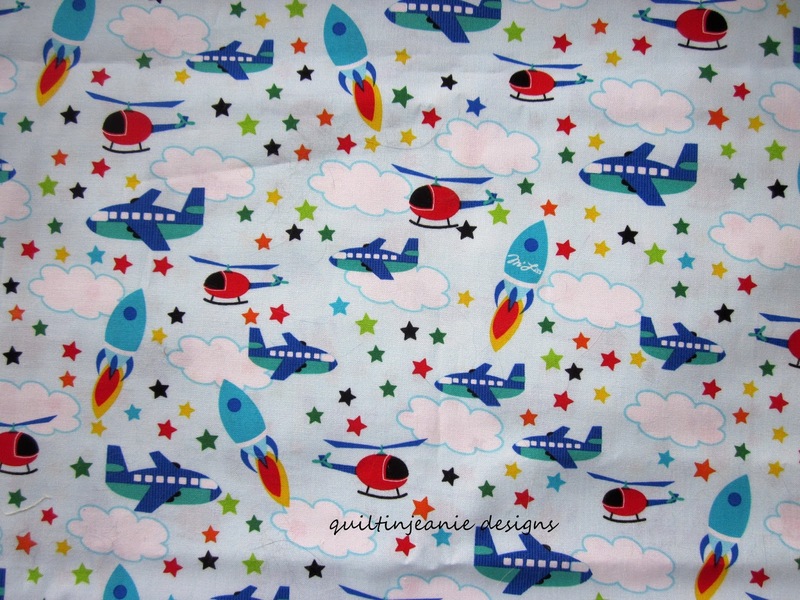 I'm using these bright, clear solids from the American Made Brand cottons and a cute M'liss airplane print. I will be changing the design layout a bit with this baby quilt...not sure how yet, as it's in progress. 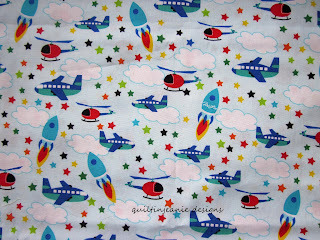 But I think it will be so cute with these fabrics! 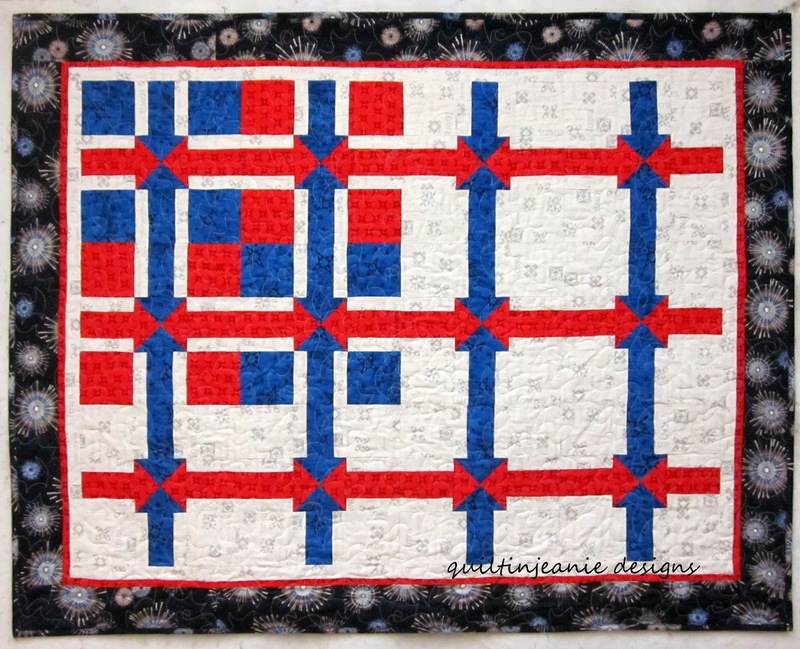 I finished quilting the Red White and True quilt Sunday night....I was so glad to finally figure out what the problem was and start quilting like normal. I should rephrase that: I messed around several times, changed the needle, re-threaded, cleaned underneath, redoing all of those things until finally it worked right. I'm still not sure what was wrong. But it's running well now! I used the Starburst panto by Clothwerx. 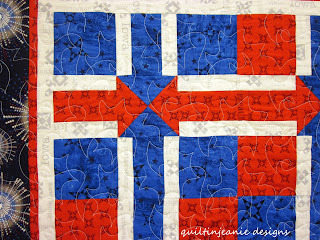 Love this panto a lot and thought the intertwining starburst design worked well for this patriotic quilt. I had made the binding last week when I put the backing together, so it was a cinch to put on. I used the fireworks border fabric for the binding. 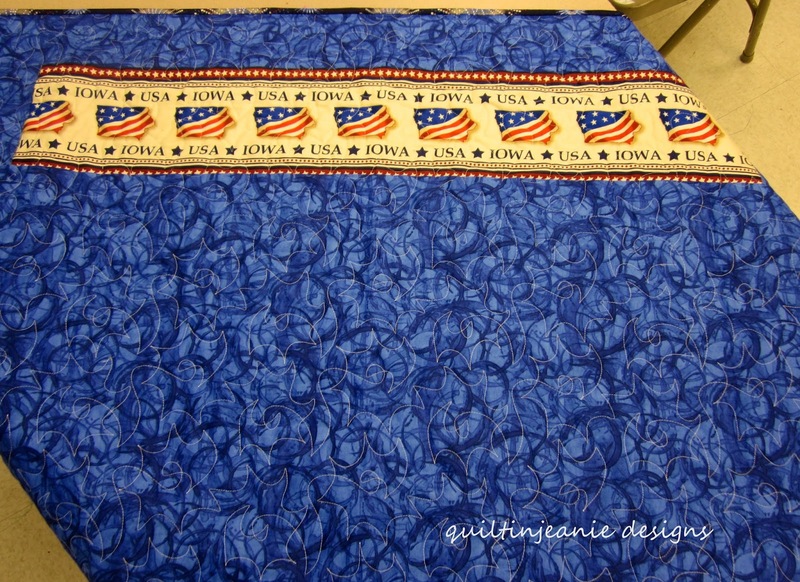 The blue Iowa fabric has a flag border on one side. I wanted to use that piece somewhere on the quilt, so added it to the backing. I still need to make a label, but otherwise it's finished. 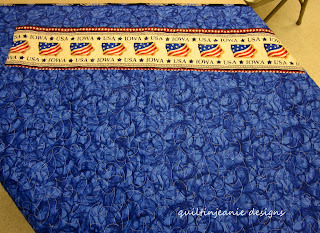 I posted the cutting info for the Red, White and True Quilt Along Monday so we are officially started...you can find all the info here, including the Craftsy and Flickr links. 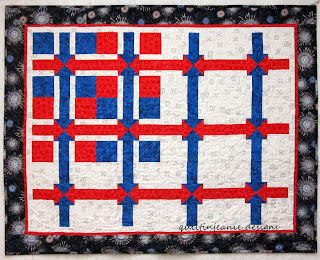 There will be a few surprise giveaways throughout this quilt along, beginning next week, so stay tuned! I am going to Muscatine, IA tomorrow for a trunk show and class, so I will be spending today getting ready for that. 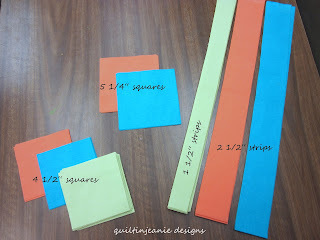 I've been trying to figure out if I can leave early enough to get a few IA Quilt Shop Hop stops in along the way. A girl needs to stretch her legs, after all! Love the Red White and True quilt. I love the satisfaction of putting that last binding stitch in but I also get excited about the prospect of something new. Enjoy stretching your legs!